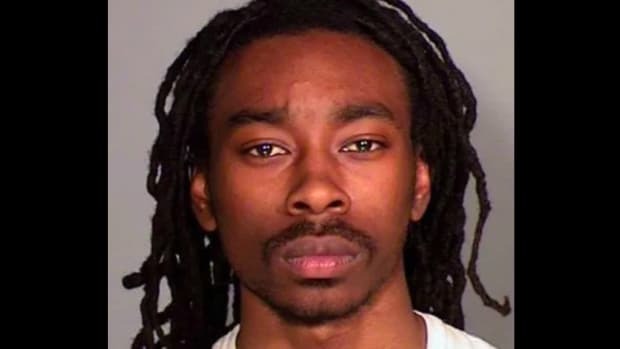 A man has been arrested in connection with a killing and a sexual assault at a townhome in St. Paul on Monday. Police were called to the house on the 1500 block of Jessimine Lane just before 7 a.m., and there they found a 39-year-old woman who was pronounced dead at the scene. While inside the house, they found a 16-year-old girl – a relative of the dead woman – who had been sexually assaulted. She was taken to hospital for an examination, interview, and care, St. Paul police said. The Pioneer Press reports she was subjected to a brutal assault, during which she was raped, choked, "pretended to be dead" and "held hostage for five hours," according to her mother. Officers have arrested a 33-year-old man, from Illinois, who was known to both the victim of the sexual assault and the dead woman. He has been arrested for kidnapping and criminal sexual conduct, and is being investigated as a person of interest in the homicide. Police found him in downtown St. Paul at around noon, having interviewed witnesses and those with possible information about the incident. The cause and manner of the woman&apos;s has not yet been determined by the Ramsey County Medical Examiner&apos;s Office, which police say could take several days. The man is under investigation for the woman's murder. Police were initially called to a house fire, but found a dead woman instead. Police say the death was suspicious. Police are investigating the death of a woman found under an overturned ride-on mower in Hennepin County.